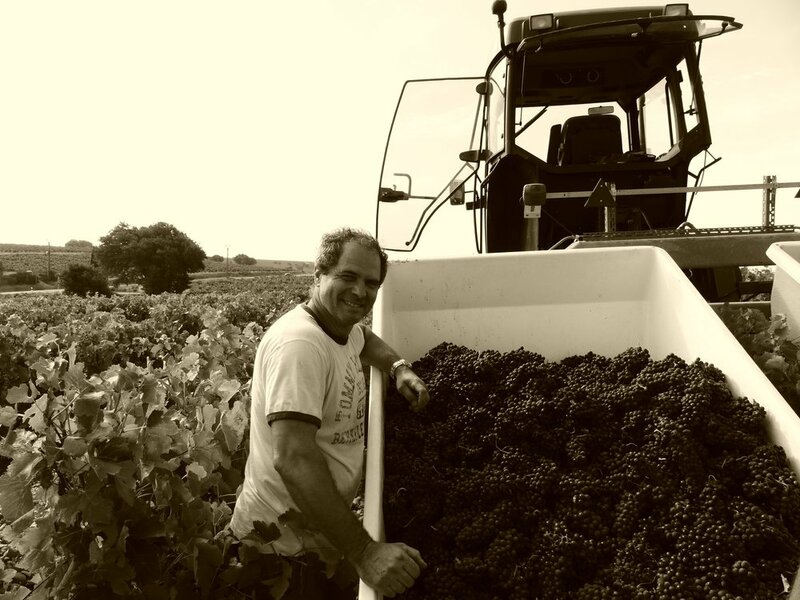 The Andre Mathieu Estate consists of family-owned vineyards handed down from father to son since 1600. 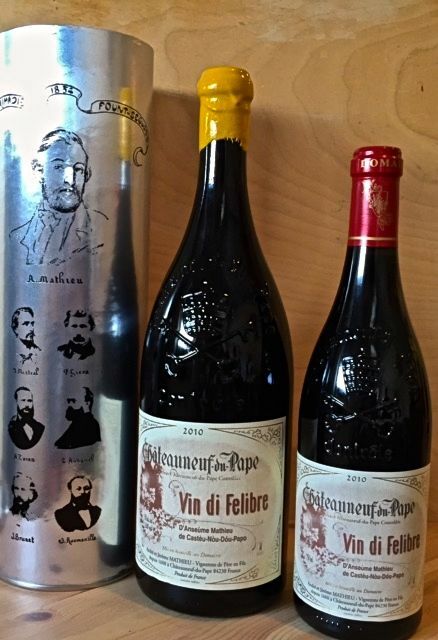 The various red and white cuvees they make from the appellation's 13 designated grape varieties reflect all the heritage and power of Chateauneuf du Pape wines. Their 13 hectares of vineyards within the Chateauneuf du Pape appellation benefit from the richness and diversity of the region's renowned terroirs. In fact, until 1980, a concrete tank could be found in the family’s kitchen, and every harvest season the kitchen had to be vacated to facilitate the production. They have updated the production, investing in new cellars and tanks, as well as recoating the insides of the existing tanks with epoxy. Theirs is a traditional winemaking mantra, learned from the generations before, and they utilize all thirteen grapes authorized by the AOC. They prefer a truly spontaneous fermentation, so temperatures are not regulated. Their foudres vary in age, up to 100 years, imparting varying degrees of oak on their cuvées. André Mathieu insists that they want minimum oxygenation during fermentation and no taste of oak: their 100-year old foudres have helped immensely in this goal. These wines are ripe, powerful, and sumptuous. From vines of about sixty-five years old, this cuvée is made with Grenache and Mourvèdre with a smaller percentage of a blend from the other eleven permissible varietals in the AOC. The 9 hectares of vineyards used to make this cuvee are spread across several different terroirs within the appellation, producing the 13 grape varieties. 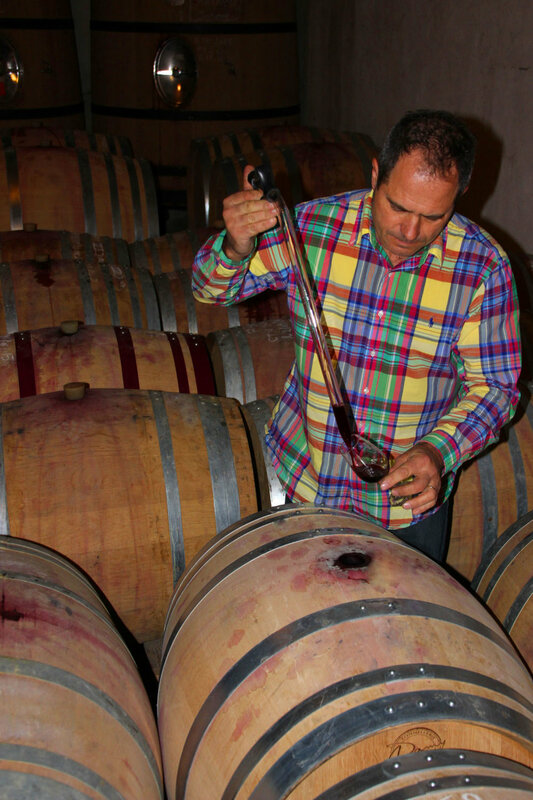 Traditional winemaking methods and 12 - 14 months ageing in old "foudre" barrels. 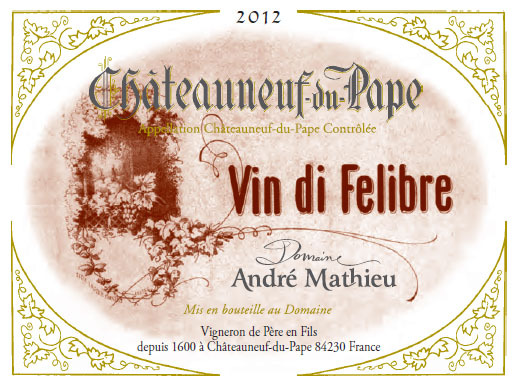 This cuvée comes from one hectare of dense, limestone-rich soil. The vines here were planted in 1952 and 1982. The wine is aged for 24 months (in new and three year old barrels) and 13 different grape varieties, with a predominance of Mourvedre giving this cuvee it's distinctive character. Only 300 cases are produced when the wine is made, which is only in select vintages.